What Will Happen to Europe After the Victory of The “Brexit”? Financial Turbulence on a World Scale? After the victory of the “Brexit” in the June 23 referendum, the world economy entered into an episode of turbulence: billions of US dollars disappeared from the principal markets in hours, with which the risks of a new banking crisis in Europe increased. According to Ariel Noyola Rodriguez , the rapid unraveling of the project of European Unity is highly improbable, even though in various countries there has been a call to leave the European Union, the majority of nations of continental Europe form part of the Eurozone and until now, with the exception of political parties of the extreme right, there are no political forces disposed to abandon the common currency. Although the principal surveys published over several weeks indicated that the British were convinced of their permanence in the European Union, the group in favour of the withdrawal of the United Kingdom (the so-called “Brexit”) finally won in the referendum celebrated on June 23 with a margin of nearly four points: 51.9% voted in favour with 48.1% against. Surprisingly the Prime Minister, David Cameron, announced his resignation moments after; the Pound Sterling registered its worst value since 1985; and the major stock markets collapsed. Both in the Asia-Pacific region as in the European Continent the markets fell between 6 and 10%. 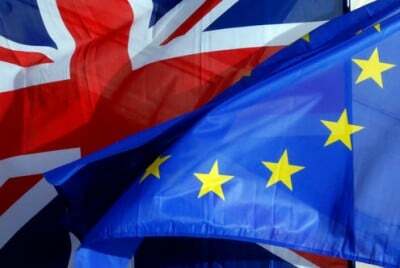 In fact, the imminent withdrawal of the United Kingdom from the European Union opened a new picture of great uncertainty at a moment of extreme vulnerability for the world economy. At the beginning of June, the World Bank reduced their prevision of growth for 2016 from 2.9 to 2.4%; the International Monetary Fund (IMF) for their part noted that economic nationalism can undermine the free movement of commercial exchange and investment among countries; so that the Bank for International Settlement (BIS) is looking closely at the risks of a new “currency war”. The fact is that international monetary cooperation is facing one of its major challenges and because of this, with the danger that credit markets may shrink from one moment to another, the European Central Bank (ECB) under Mario Draghi, and the Bank of England under Mark Carney joined the fray to make it clear that they would spare no resources to guarantee financial stability. Over the long day, but above all after the first signs that the “Brexit” had triumphed in the ballots, the ECB intervened violently in the sovereign debt market to avoid an increase in “risk premiums” of the bonds of the peripheral economies: Greece, Spain, Italy, Portugal, etc. Meanwhile, the Bank of England had already prepared a powerful battery of 250 billion Pounds Sterling to defend their exchange in the face of attacks by speculators. The Federal Reserve System (FED), under the mandate of Janet Yellen, established a series of “swaps” to provide additional liquidity along with other central banks of the Group of 7 (G-7, made up of Germany, Canada ,the United States, France, Italy, Japan and the United Kingdom) in case the volatility of financial markets went out of control. But the contingency plans of the monetary authorities were not sufficient. World stock markets registered losses of more than 2 trillion US dollars in less than 24 hours. It should be noted in addition that the chaos of the Pound Sterling occasioned a massive flight of capital from the London Stock Market, to immediately take refuge in Wall Street. In the face of the financial turbulence, market investors sought protection in safer financial instruments, basically in the dollar and precious metals that serve as reserves of value, gold and silver, for example. Nevertheless, the massive purchase of dollars deepened the chaos of prices of the rest of commodities, already very low compared to the pre-2009 years. For example, the international reference prices of petroleum, the West Texas Intermediate (WTI) and the Brent, that had registered some increase during April and May, fell once again. The prices of hydrocarbons are now below 50 US dollars per barrel, a situation that sharpens deflation (the fall of prices) and that, combined with tendencies of low growth of the Gross Domestic Product (GDP) and the fall of benefits of the financial sector, increases exponentially the risks of a new banking crisis in Europe. The vote in favour of the “Brexit” manifested the enormous rejection of European integration. The economic policy applied in the United Kingdom had basically followed the same route as the rest of the countries of continental Europe: indiscriminate liberalization of trade in goods and services, deregulation of the financial sector, and a policy on labour that left stagnate the increase of wages and that proposed to suppress social benefits of workers. It is clear that the dream of a democratic, social and solid Europe is only that, a fantasy. The “Welfare State” that was put together after the Second World War, is practically dismantled today. The quality of a democracy cannot be valued only by the celebration of a referendum and the respect of its results by the Government. Democracy means, above all, the direct participation in the principal decisions of concern in a society, both in the area of economics and in political life. And it is here that the construction of the European Union has its principal faults: the design of the project of integration has been converted into an affair reserved for the business elites. The big corporations have been the principal beneficiaries of the establishment of a “common market”, they are the ones who insist on the approval, as soon as possible, of the Transatlantic Treaty of Trade and Investment Partnership (TTIP), promoted by the government of the United States, and it is they who promote the offensive of the North Atlantic Treaty Organization (NATO). It is without doubt true that Europe urgently needs and institutional re-design. In fact, after the victory of the “Brexit”, in various countries referendums have been proposed to abandon the European Union; nevertheless, one has to take into account that the majority of the countries of continental Europe form part of the Eurozone, but this is not the case of the United Kingdom, that has always resisted the adoption of the common currency. Up to now the progressive forces of Europe have not proposed to abandon the Euro. We recall for example the case of Greece in 2015: with a leftish Government, the troika (made up of the European Central Bank, the European Commission and the International Monetary Fund) rejected all the proposals of the economic programme of Syriza. And although the Greek Government called a referendum to reject the leonine conditions of the third rescue programme, finally fiscal austerity carried the day. The Prime Minister, Alexis Tsipras, was always reluctant that Greece should abandon the Eurozone (the so-called “Grexit”), with all that and to date it has been impossible to establish an alternative economic policy and, at the same time, comply with the demands of the troika. To my own judgement, the great drama that Europe lives in this time is that those who propose an exit from the Euro and then from the European Union, are leaders of political parties of the extreme right, those who utilize the xenophobic rhetoric to distract attention from the true causes of the crisis and who, let us say it clearly, have no intention to promote the rebirth of Europe…. The author is an economist graduated from the National Autonomous University of Mexico (UNAM). Twitter: @noyola_ariel.